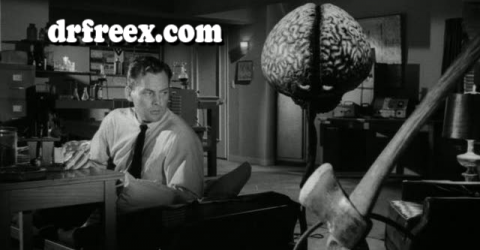 Click ^^ for Hubrisween Central, here for our Letterboxd page. I am getting all sorts of ahead of myself. Trish and Darry (Gina Phillips and Justin Long) are two college students, brother and sister, driving home for break, and due to Trish’s misgivings about their parents’ deteriorating relationship, they are taking the scenic route, the long way home. This is a mistake. 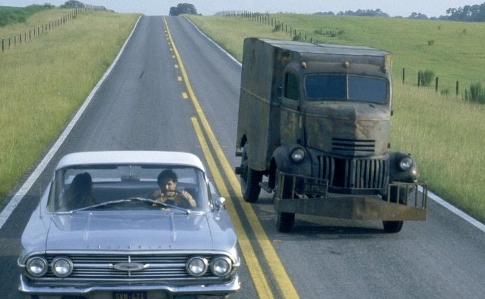 Start with a Duel type encounter with a huge, rusted-out van with a dissonant horn that would deafen a heavy metal concert. The two later spot the van outside a deserted church, and a rather creepy-looking figure throwing what are oh-so-obviously bodies into a drainpipe. Then they get chased again, and forced off the road. Darry wants to go back and find out if whoever got tossed into that pipe is still alive. Trish takes the much more sensible approach that they should just get to a phone and call the cops (Darry’s cell phone is dead and the cigarette lighter in Trish’s vintage Chevy is broken). Gina makes the far more compelling case, but this is a horror movie, so back they go. The pipe goes down much further than anticipated, and Darry, of course, winds up falling down it. One of the bodies, he finds, is still alive, though not for long… and it isn’t the only body down there. In fact, there seems to be a hundred or more, nailed to the ceiling of a subterranean chamber like a ghoulish Sistine Chapel. Darry finds a way out through the church basement, and they finally head to the next town to get help. Two cops will follow them back to the church… but they won’t make it there. Ah, you already know this. What’s driving the van is The Creeper, a thing that is allowed, every twenty-three years, to eat for twenty-three days. It eats only parts, the parts it needs to replace, until its next meal break. The rest it arranges in its lair because it has an artistic bent. And it wants some body part from either Trish or Darry. Once it’s established the Creeper is supernatural, it becomes a chase movie, Trish and Darry careening from one supposed place of safety to another, finally ending up at a police station where the Creeper is going to re-enact The Terminator after chowing on some prisoners to replace damaged limbs. 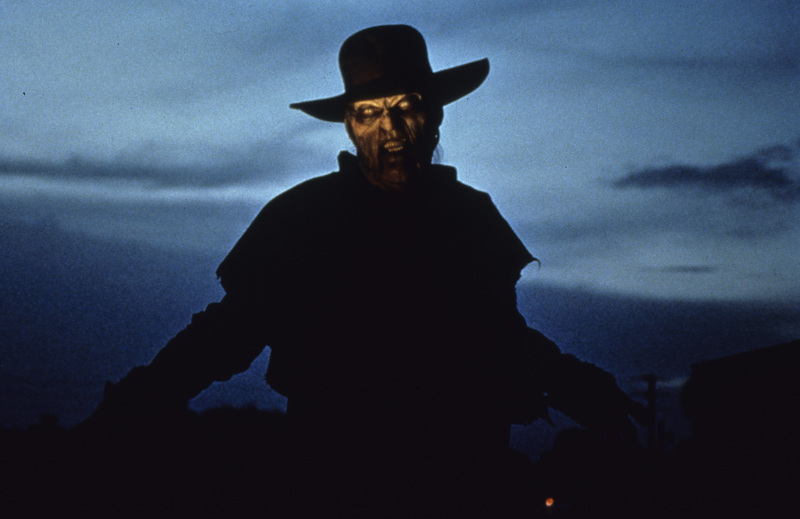 The movie’s process is pretty sneaky and well played-out; The Creeper gets a little weirder every encounter, every attempt to kill it, even multiple attempts at running it over with that Chevy (should we add Forever Evil to the movies referenced? Naaaaaah). This is a totally new movie monster, and we – and the characters – are unsure of its mythology and any weaknesses, if indeed it has any. Clues are dispensed by Gizele (Patricia Belcher), a woman with unreliable psychic powers, and they aren’t very useful. As we already know, I hate slasher movies, and I hate psycho hillbilly movies, and I tolerate giallo if it has a decent murder mystery embedded in it. But monster movies? Them I love. 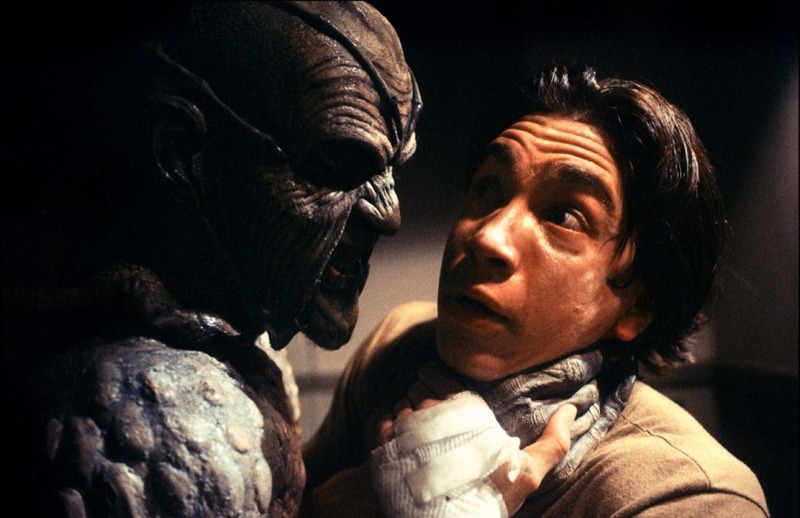 I should have rushed right out to see Jeepers Creepers when it was in theaters, the instant I found out it was a creature feature. But I was pretty broke in those days. It did alright without me. As much as I liked it, though, I really can’t see how this would support not one, but two sequels. But then, that is something I could say about any number of horror movies.